May 23, 2016 – Our sun’s adolescence was stormy—and new evidence shows that these tempests may have been just the key to seeding life as we know it. Some 4 billion years ago, the sun shone with only about three-quarters the brightness we see today, but its surface roiled with giant eruptions spewing enormous amounts of solar material and radiation out into space. These powerful solar explosions may have provided the crucial energy needed to warm Earth, despite the sun’s faintness. The eruptions also may have furnished the energy needed to turn simple molecules into the complex molecules such as RNA and DNA that were necessary for life. The research was published in Nature Geoscience on May 23, 2016, by a team of scientists from NASA. Understanding what conditions were necessary for life on our planet helps us both trace the origins of life on Earth and guide the search for life on other planets. Until now, however, fully mapping Earth’s evolution has been hindered by the simple fact that the young sun wasn’t luminous enough to warm Earth. 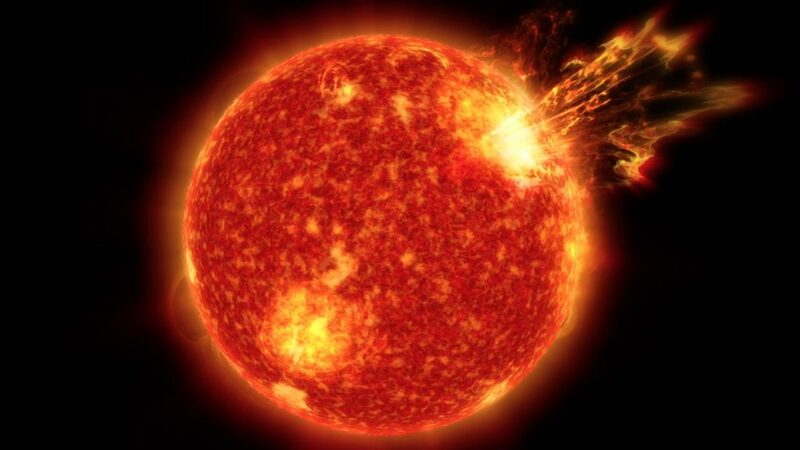 While enough energy appears to be hugely important for a growing planet, too much would also be an issue — a constant chain of solar eruptions producing showers of particle radiation can be quite detrimental. Such an onslaught of magnetic clouds can rip off a planet’s atmosphere if the magnetosphere is too weak. Understanding these kinds of balances help scientists determine what kinds of stars and what kinds of planets could be hospitable for life.